Dan is an amazing jeweler and gifted teacher! What a blessing it is to have had the experience of taking a number of classes from Dan! I learn so much each time I take a class. Dan is flexible in teaching you skills that are best for your jewelry making goals. I will be taking more classes from Dan. He helps you gain confidence in your skills and guides you through each and every step. Once I am back to my studio, I can apply those skills and continue to improve on my ability. 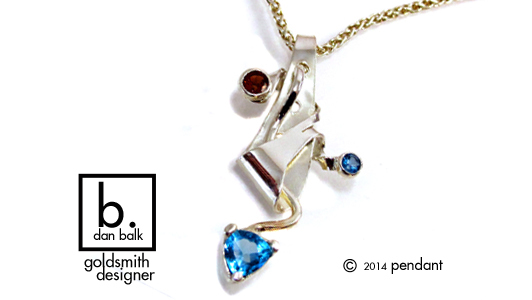 If you are interested in making and designing jewelry, Dan is the only teacher to learn from! Thank you Dan!